Mississippi has a rich history of producing some of the greatest musical talent in the business, and DJ T-Swan is looking to add his own name to the long list of successful artists and performers. DJ T-SWAN from the Mississippi gulf coast has already made a name for himself along the Gulf Coast & also working shows that span all around the sound from New orleans ,Florida , Carolina,Alabama & even reaching places like Chicago and also include many popular acts such as Yo gotti,2 chainz,Future,Lil Wayne, Fetty Wap, boosie, Waka flocka, Rick ross, kevin gates, rich homie quan & many more , also holding residency spots at the coast hottest & biggest nightclubs. In the earlier years around the age twelve he started his journey DJ-ing at a skating rink in his hometown, playing the usual classics such as “…Run DMC, the Commodores, Freestyle, a little bit of everything.” By fifteen he was getting a taste of the club scene, trying out his skills in local clubs alongside a few older DJ’s he knew. As he got older he started making friends with radio personalities and was able to spend time in professional studios seeing how mixing and scratching was really done. Also catch DJ T-SWAN on the road with some of the hottest acts out to date! 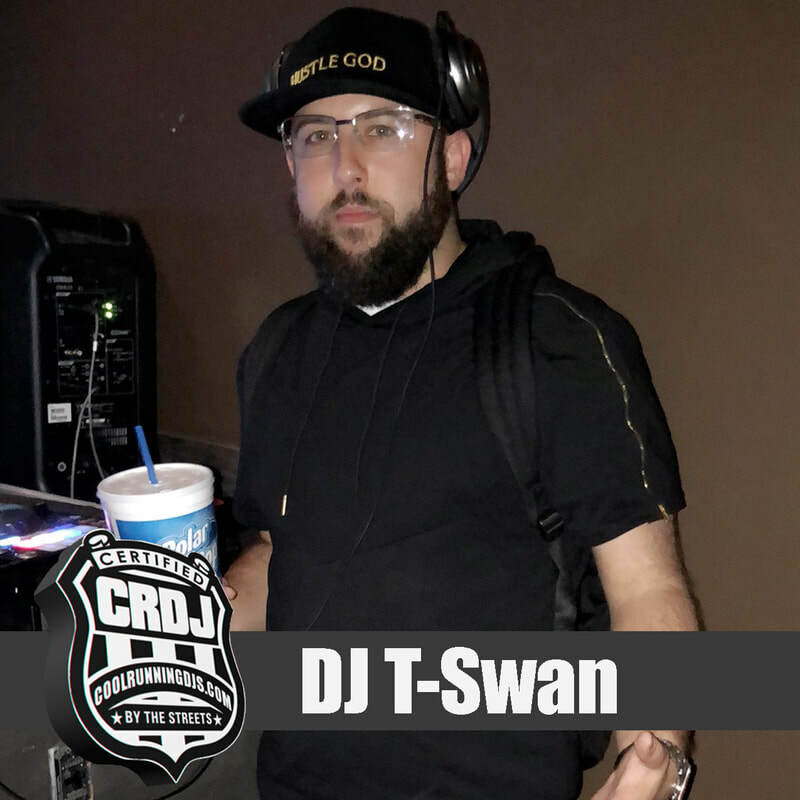 DJ T-SWAN is also apart of some very popular DJ Crews such as the Definition Djs, Supa Unit DJs, Coast 2 Coast mixtape DJs & Urban Gorillaz Squad. Although most of his shows have featured mainly hip hop artists, DJ T-Swan does not want to be seen as just a hip hop/rap DJ. “I cover ALL music genres from rap to rock, from country to old school funk to EDM based music. DJ T Swan whole purpose of being a DJ is to break new music from all genres and to keep REAL DJING ALIVE , mixing,scratching and keeping the art form solid.